Washington (CNN) - The Republican National Committee is brushing off a lawsuit against the party by Ron Paul supporters as "frivolous" but it is nonetheless coordinating a "joint defense" effort to fight the legal challenge, according to an internal RNC memorandum obtained by CNN Tuesday. The complaint, filed in U.S. District Court in California last Tuesday by over 100 self-described delegates to the Republican National Convention in Tampa, alleges that the RNC and its chairman, Reince Priebus, quietly and improperly aided Mitt Romney throughout the GOP nomination fight. The legal filing, which names Priebus and GOP chairmen in every state as defendants, "seeks the guidance of the court" on whether the plaintiffs are free to break with certain state party rules and vote for the candidate of their choice at the August convention. The plaintiffs claim that so-called "binding" delegate rules – in which delegates are required to vote for the winner of their state's primary or caucus at the convention – violate federal law and prevent delegates from exercising their "Constitutional right to vote their conscience" in Tampa. Because delegates may shift their votes at the convention, they argue, Romney does not yet have the nomination locked up. According to the complaint, however, the RNC and affiliated state GOP leaders systematically "engaged in a scheme to intimidate and harass" delegates supporting candidates other than Romney during the nomination process. This "harassment," the suit alleges, included numerous violations of party rules, threats of violence, ballot tampering at state conventions and "intimidating demands" that delegates sign affidavits promising to vote for Romney. The Paul campaign, now in limbo but still aiming to have a prominent voice at the convention, says it is not involved in the lawsuit. "We have nothing to do with it and do not support it," said Paul adviser Jesse Benton. 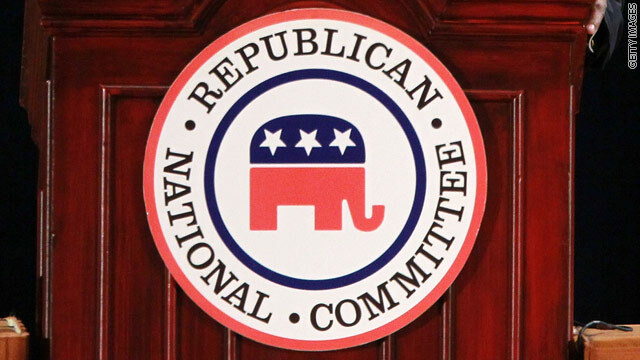 RNC Chief Legal Counsel John R. Phillippe Jr. informed Republican state party chairman of the lawsuit on in an internal party memorandum Tuesday morning and asked if they want to add their names to the party's defense. "It appears that all of the Plaintiffs are supporters of the candidacy of Ron Paul," Phillippe wrote. He added: "We view the suit as completely frivolous but one to which a serious response must be made." Phillippe said the RNC is planning to present a "joint defense on behalf of all the Defendants" and has scheduled a conference call this week to discuss the matter. Asked about the complaint, a spokeswoman for the RNC said "we're not worried about it." Richard Gilbert, the Santa Ana, California attorney representing the Paul supporters, said the suit is "clearly not a frivolous case." "When the RNC calls this frivolous, I think it's very telling about how the RNC has no respect for the delegates at the convention," Gilbert told CNN. "And that's disappointing. As Mitt Romney would say, I would bet you $10,000 that not one their lawyers say to federal judge that this is a frivolous lawsuit. "These are delegates to a national convention who are asking the judge for guidance whether to follow federal law or whether to follow state party rules or state bylaws," he added. "How can that be a frivolous case?" Ron Paul won't win because there is too much that the federal government does that WE ALL RELY ON. As to the lawsuit, it seems that many in the GOP ignore rules that they don't like. Don't change the delegate rules part way though. "Of course, the delegates should have the free will to vote their conscience. Otherwise, the United Staes will fall into Democracy – and that always ends badly when the people discover they can vote themselves benefits from the public treasury and the country bankrupts itself." Interesting lecture... Of course a "republic" can be controlled by a a few wealthy power-brokers rendering the votes of common people all but wasted. The power-brokers support candidates for their own selfish reasons – in effect doing exactly the same thing as a pure democracy. For example – they could reduce their fair tax burden to a point where the government provided no meaningful level of services or infrastructure. Citizen's United? Ron Paul got run over by the fat-cats working toward exactly the situation I just described. To PeoplePower, could'nt you just type the name Romney, instead of trying to link Obama (rombama) to of all things a GOP mess. Sue all you want because "Rand Paul" will never be President of this United States.